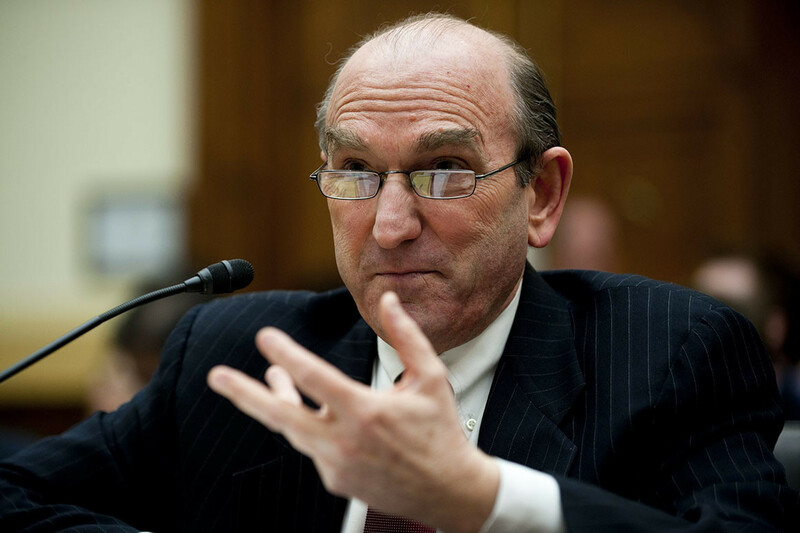 Super neocon Elliott Abrams, of Iran-Contra notoriety, has been named as a Trump administration special envoy overseeing policy toward Venezuela. Abrams’ appointment was announced today by Secretary of State Mike Pompeo. “This crisis in Venezuela is deep and difficult and dangerous, and I can’t wait to get to work on it,” Abrams said in brief remarks to reporters, according to Politico. There were allegations that he supported a military coup attempt in Venezuela in 2002. In 1991, he pleaded guilty to two Iran-Contra related misdemeanor counts of withholding information from Congress about secret efforts to aid the rebels. President George H.W. Bush pardoned him the next year. Does Trump have absolutely no, zero, nyet clue? Or has he no power at all, merely being the President of the United States? Or perhaps he agrees with the neocons.